Wherever you live there is always at least one neighbourhood restaurant known and frequented by locals. In the case of London’s Notting Hill, one of these is ULI, on Ladbroke Road. 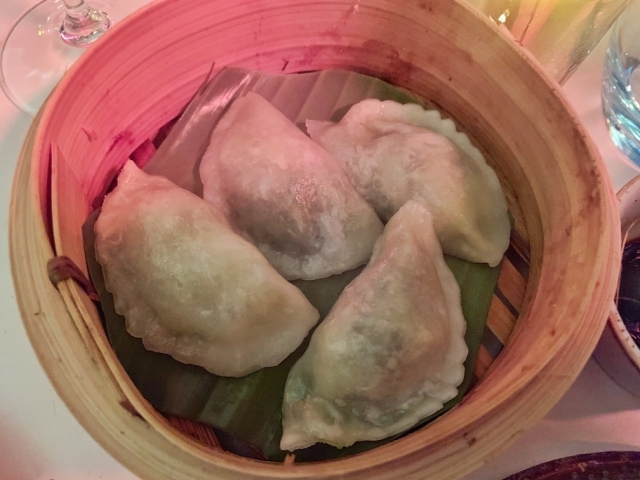 ULI has recently added Japanese Robata grill to its tapas-style Asian menu, so we at Vada headed across town to find out more. ULI’s latest addition to its menu is a Robata seafood grill, cooked in the Japanese robatayaki style. This involves grilling at a high temperature over hot coals, before imbuing the seafood with Japanese seasonings, sauces and garnishes. 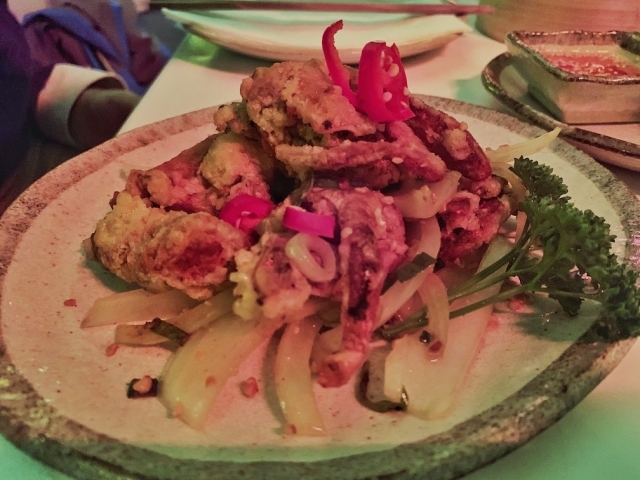 Deep-fried soft-shell crab (£12), which must be eaten almost straight away once served and was surprisingly juicy and tender within. 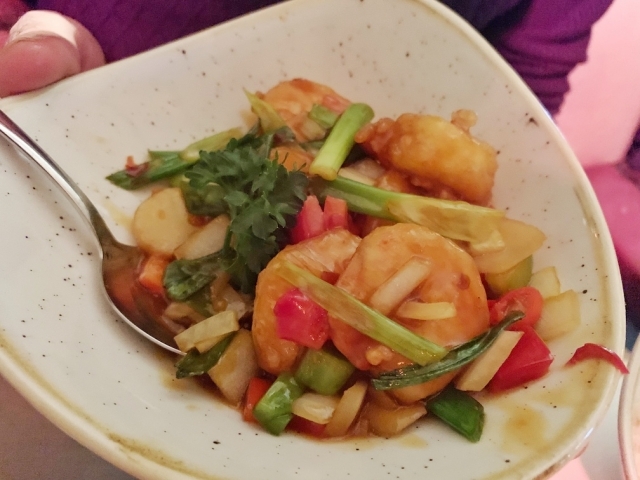 Thai chicken with basil (£12) and the Szechuan chilli prawns (£13.5), as both are sharing essentials. Continuing the seafood theme, from the Robata options, we chose to try the seafood grill consisting of scallops, jumbo prawns and salmon. Rather unusually the scallops are cooked to an extreme (rather than the typical 30 seconds-a-side treatment they would usually get), giving them an altogether different texture and flavour doused in seaweed butter. This isn’t our preferred way of eating scallops, but they were nonetheless tasty. The highly grilled salmon surprisingly retained plenty of moisture, so our forks kept going back for more until none was left. The jumbo prawns (still-shelled i.e. food that requires more effort than reward) were less of a joy to eat. For meat lovers, there is a caramelised rib eye skewers with ginger wasabi from the Robata options, and as a light bite Shishito Padrón peppers or grilled courgettes with tamari & sesame oil. 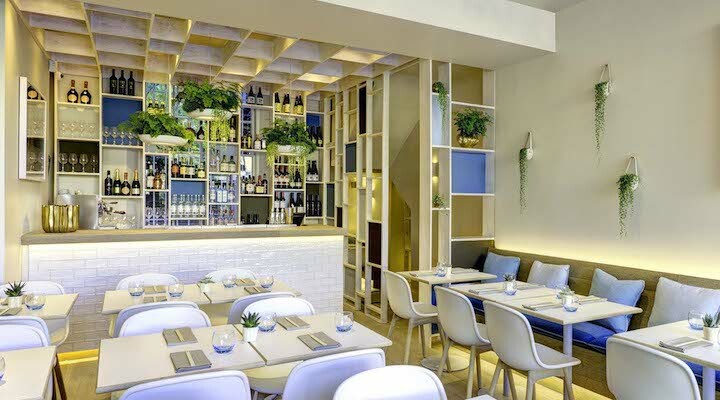 ULI’s atmosphere makes it an ideal location to have a relaxed catch up with friends after work. 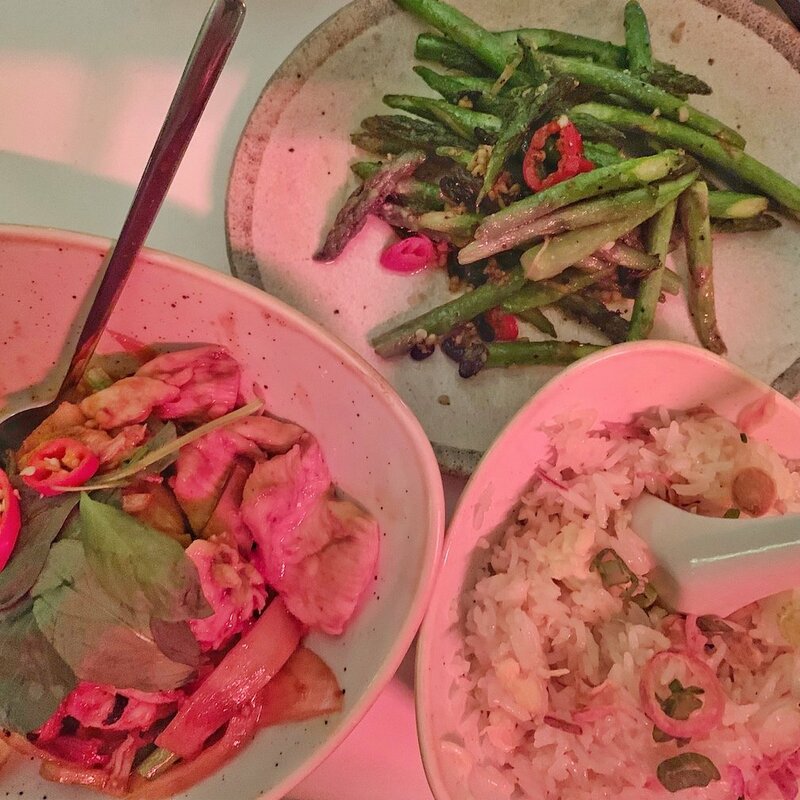 Being able to pick and choose sharing plates makes choosing off the menu quicker (for those hungry after a long day). ULI offers a reasonable selection of favourite dishes, all arriving quickly. 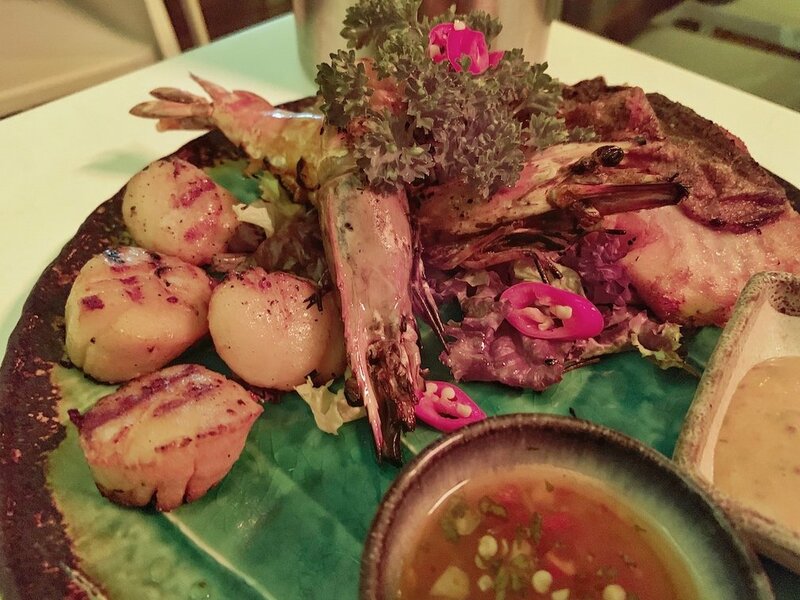 Would we eat the Robata seafood plate again? Well we’d definitely dig into more salmon from it, and next time try out the beef skewers. For more information, visit ulilondon.com.